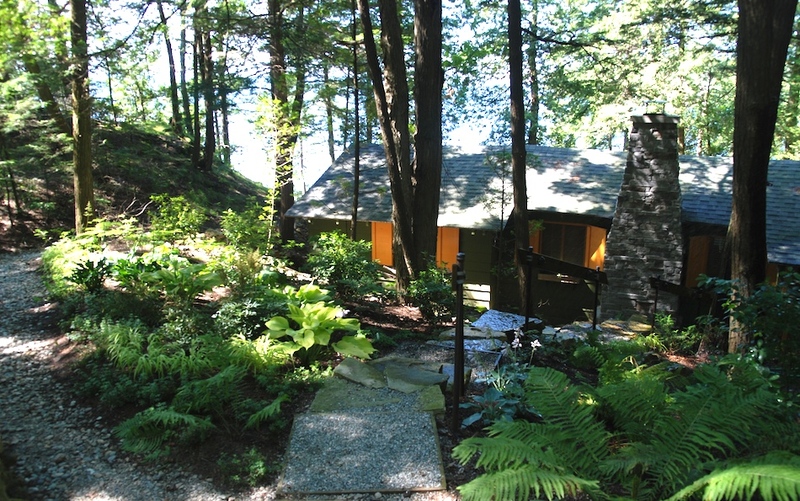 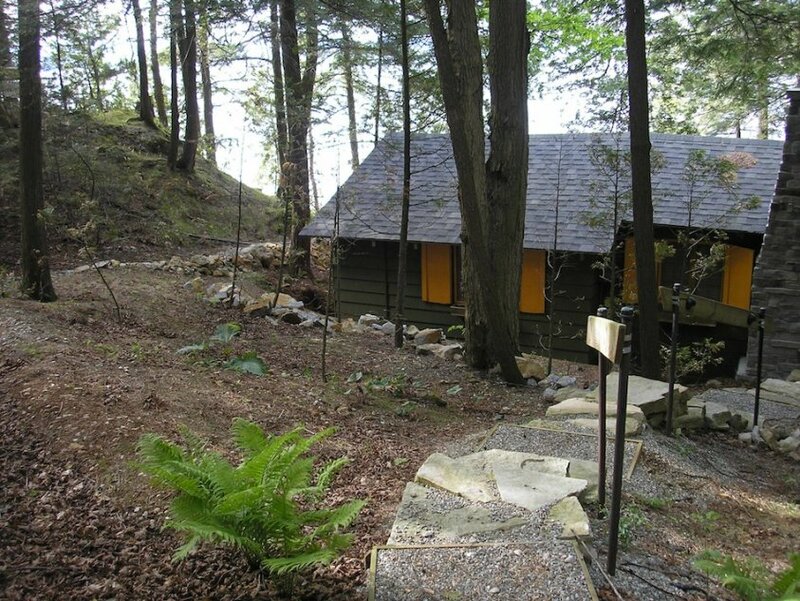 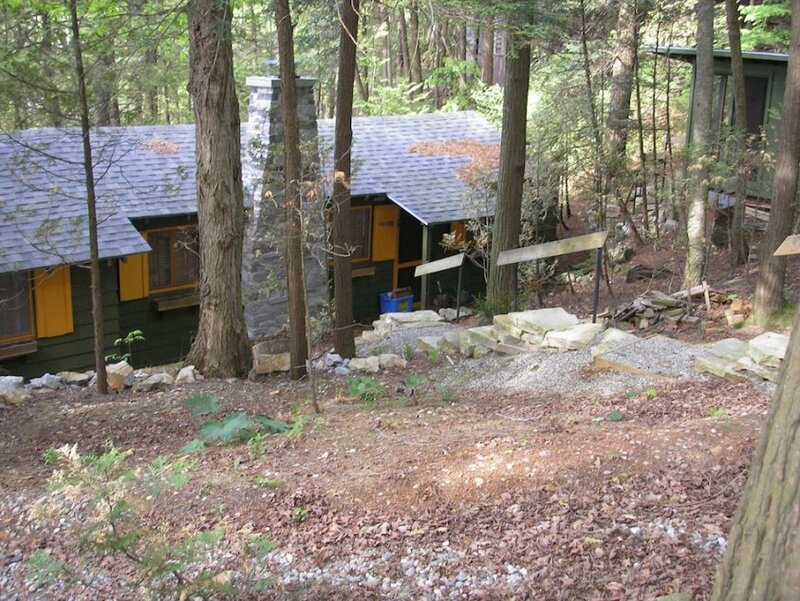 Tucked in a woodland of hemlock and cedar, and perched on a ledge overlooking Lake Champlain is a summer cabin in need of a new entry. 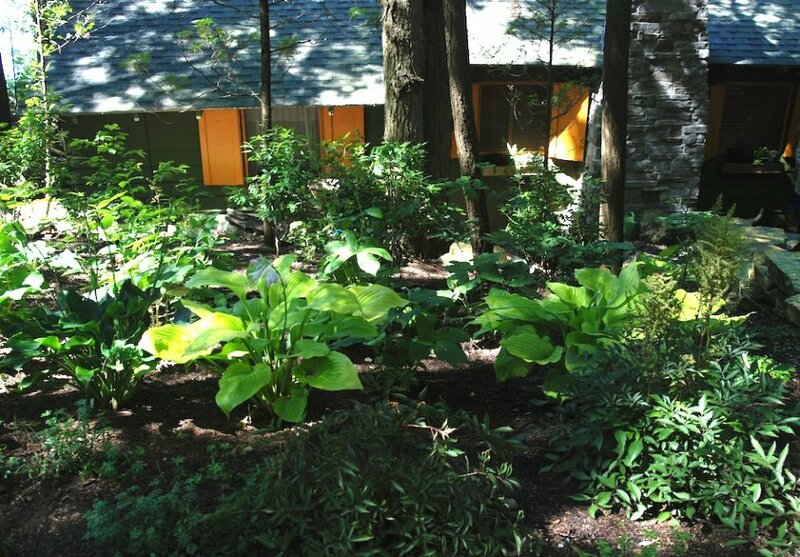 The deep shade required a rich array of shade plants that would provide texture, color and a variety of foliage. 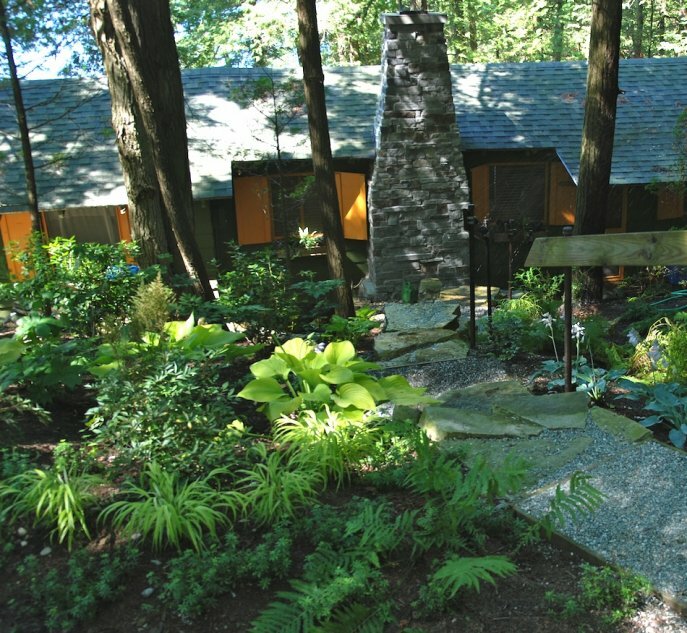 Now in its first season of growth, the plantings carpet the gentle slope to the front door. 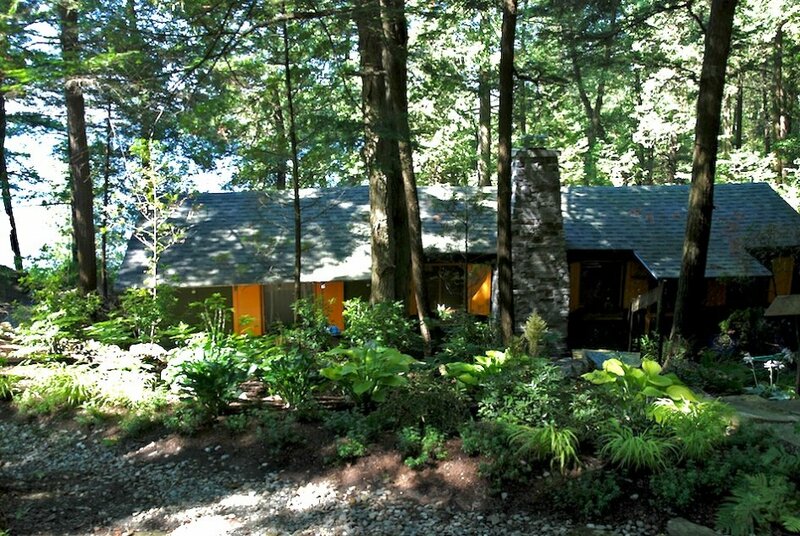 August 11, 2011 | Filed under Residential and tagged with charlotte, projects, vermont.